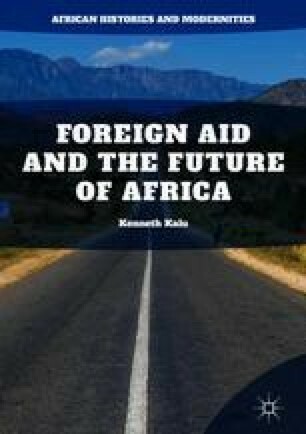 The chapter articulates the central arguments of the book, which states that foreign aid, defined as the gift of cash and material resources to African states, does not have the capacity to eradicate poverty in the continent. By providing financial and material resources, foreign aid can only help to ameliorate some of the pains of poverty. Poverty in African states is caused by the constellation of perverse governance and economic institutions that make the state systematically detached from its citizens. In these predatory states, political leaders and their cronies are in the business of exploiting state resources for selfish ends. Consequently, the citizens are left with little or no opportunities for meaningful participation in the political and economic affairs of the states. In order to curb poverty, the state must be transformed to live up to its responsibilities to its citizens.